Reebok’s ZR series has produced yet another fitness machine to look out for. The Reebok ZR8 Cross Trainer might just be the ideal cross trainer for you. People who enjoy challenging themselves may find the various levels of resistances and different workout programs enticing. Reebok ZR8 Cross Trainer would also not allow itself to be the last one on the list in terms of design and style. Black in colour to give the professional and we-mean-business look. We dive into some of Reebok ZR8 Cross Trainer’s details and see how it compares with other cross trainers in its range. But it is hard not to notice that it does resemble the same features as the Reebok Z9 cross trainer. But then again, this may be an upgraded version of the Reebok Z9 cross trainer in order to keep up with the incessant trend for technological advancement in fitness machines. The Reebok ZR8 Cross Trainer is pretty easy to use. One look at the console and you will see that it is not very complicated at all, the display features the same colour combination as the other Reebok fitness machines that utilise a console. It’s good that they kept the typical stride length which every shopper looks for. The levels of resistance and adjustable footplates will also be a key factor when finding out how it compares to other cross trainers. A few pre-installed workout programs come in handy too. Assembly is easy since it arrives already pre-assembled and only takes a few tweaks to have it ready for use. As long as everything that needs tightening up and some lubes are well-observed, you won’t be able to find any unnecessary or distracting noise. A central black background to contrast the yellow bars and light-coloured text against a dark blue outline background vividly displays the stats users need to monitor like speed, calories, and time. The console buttons give you control to features that are pretty common and straightforward. Most cross trainers in the similar price range as the Reebok ZR8 Cross Trainer have a stride length of 13 or 14 inches. However, the Reebok ZR8 Cross Trainer has a stride length of 15 inches which is ideal for targeting groups of muscles, it is also convenient for users that are under 6-feet tall. This makes it ideal for everyone. The extra inch in stride length yields causes a big difference in results when compared with a 13 or 14-inch stride length, this is as your muscles will work slightly harder. Adjustable foot pedals make it easier for users to be comfortable with each stride. This might just be something that will set the Reebok ZR8 Cross Trainer apart from other cross trainers in the same weight division. It is rare to find a cross trainer that would have more resistance levels than the Reebok ZR8 Cross Trainer, and if you do, the overall rating comes short when compared to it. Having 12 Preset Workout Programs may not be impressive. But perhaps one sales driver that Reebok has taken into account would be ease of use and to alleviate confusion with what to use. Some people prefer the workout programs that they are already familiar with. One cross trainer may have a hefty lot of workout programs which could but seen as a positive, however, in some cases, it leaves users confused as to where to start or progress to next. This might just stir up the interest of beginners who would want to consider buying a cross trainer. Some people have the knack for how things work, some don’t. But to most people who had decided to buy the Reebok ZR8 Cross Trainer, it did not seem to be a problem. Like we said earlier, as long as everything that needs to be tightened up and lubed out is observed, the Reebok ZR8 Cross Trainer is ready for immediate use. 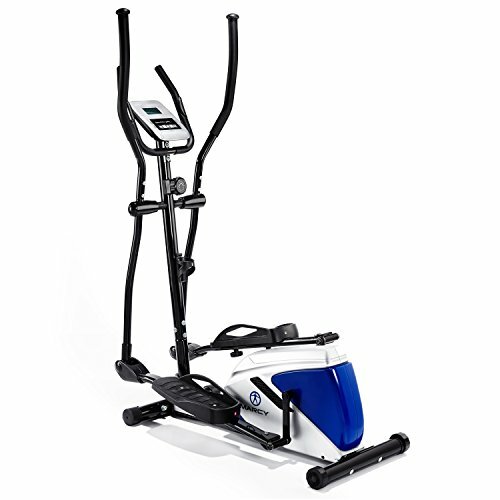 And we personally love the cross trainers elliptical bike hybrid function. Now, this is where Reebok ZR8 Cross Trainer would have an advantage in addition to the impressive 32 levels of resistance. Most treadmills only have 5 to 6 kgs of flywheel. There is an unspoken debate as to what the ideal flywheel weight is, and Reebok ZR8 Cross Trainer goes with the connotation “the heavier the sturdier”, coming in at 9 kg. A heavier flywheel steadies up the machine and assists the user’s stride better the longer they work out. As always, it is wise to take advantage of products that come with warranties. This ensures that our hard-earned money is protected. The Reebok ZR8 Cross Trainer warranty will cover 2 years of parts and labour. Being on the same level of consumer demand as the Reebok ZR8 Cross Trainer, it doesn’t necessarily mean they would have similar features. 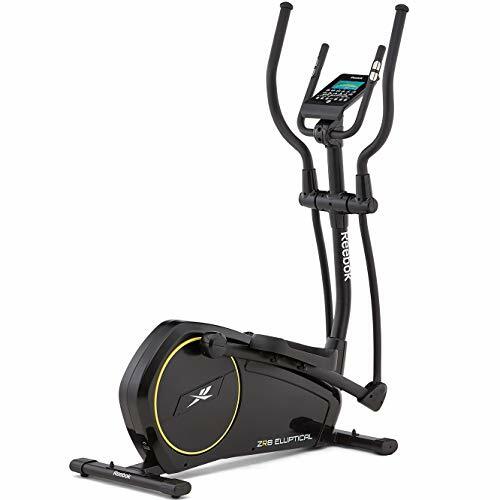 Unlike Reebok ZR8 Cross Trainer, the Fitnessform® ZGT® Z10 Cross Trainer does not have workout programs. Weighing 5.5kgs, its’ flywheel is considerably lighter compared with Reebok ZR8’s 9kg flywheel. It is also lighter than the ZR8, which makes it easier to move it around the house or office. This is definitely appealing to beginners who aren’t looking to spend too much but want to be able to experience cross trainers in general. The overall weight of this cross trainer is 28kg which sets the maximum user weight a bit lower than Reebok ZR8 Cross Trainer. It is made of plastic and metal which is more likely to be less stable than Reebok ZR8’s steel structure. The features are pretty straightforward too, a console that shows what you would normally look for: speed, time, distance, and calories. It has 8 levels of magnetic resistance. The Reebok ZR8 might have 32 resistance levels, but they might just be more defined and specific. For instance, Charles Bentley’s Level 5 Resistance might be equal to Reebok ZR8’s Level 12 Resistance. Assembly is as easy as Reebok ZR8 that you practically don’t need the full assembly instruction it comes with. This is a likely choice for beginners and for the budget conscious. 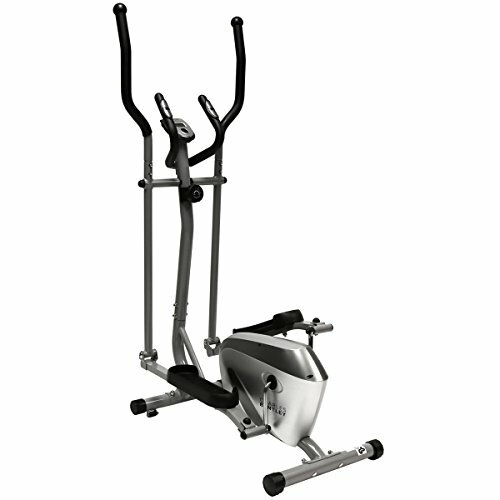 Marcy Azure EL1016 Elliptical Cross Trainer comes in at 37kgs. Lighter than 57kg Reebok ZR8 but quite close to maximum user weight. Marcy Azure EL1016 can hold up to 110kg of maximum user weight whilst Reebok ZR8 can hold up to 120kg. It may even be as sturdy as ZR8 if not sturdier, pound-for-pound. Steel frames define how robust it is. The stride, however, is shorter than Reebok ZR8. This will affect the overall results of users. It has 8 levels of resistance which is less than Reebok’s ZR8. A 4kg flywheel is definitely an area of improvement for Marcy Azure EL1016 Elliptical Cross Trainer. Warranty, however, would be the same as the Reebok ZR8 with 2 years for frame and parts. This might be a safe choice for those who don’t want to spend too much and for those who put warranty on their priority list. 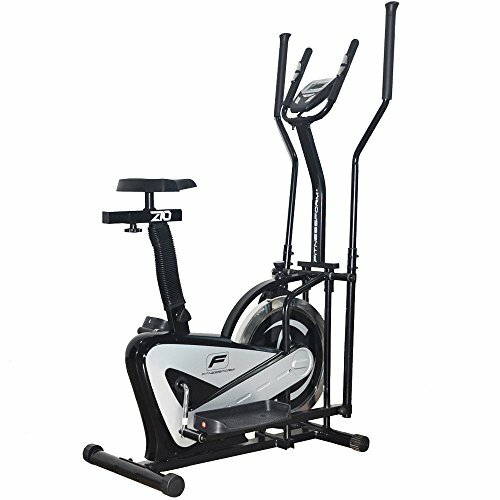 Viavito Sina Elliptical Cross Trainer is quite similar to the Reebok ZR8 Cross Trainer in almost all areas. Their designs are both eye-catching when pitted up against other cross trainers in their league. They also both weigh around 50kgs and include 9kg flywheels, a 15-inch stride length, 32 levels of resistance and a maximum user weight of 120kgs. 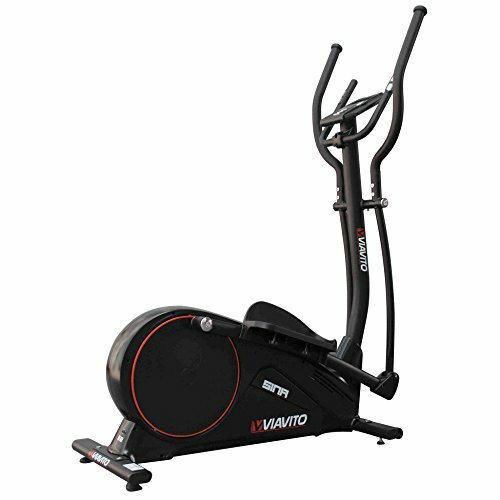 But unlike Reebok ZR8, Viavito Sina Elliptical Cross Trainer has 20 workout programmes and a wireless heart rate sensor. This would be a good choice for intermediate-level users whilst Reebok ZR8 might be more appealing to beginners since it costs a few pounds less than Viavito Sina Elliptical Cross Trainer. To top this off, it comes with a warranty of 2 years for parts and labour. Overall, the Reebok ZR8 Cross Trainer is one versatile fitness equipment considering the price. Not only does it have a lot of resistance levels and a handful of workout programs, it also offers a good deal in terms of value for money. It is not too expensive compared with other treadmills with the same features. It is also not too cheap that you might start to worry about the quality of the cross trainer you are getting. It would be a safe choice both for beginners and intermediate level users.